Good morning! So there's a lot going on the next few months. There's new music, new videos, and new shows! To start things off, it is our pleasure to announce we will be joining forces with the Adler Planetarium in Chicago for the Adler After Dark: Geek Chic event! Experience TWO one-hour sets from yours truly along with the showdown between the 501st Stormtrooper Legion and the Rebel Legion, a panel with author Mary Robinette Kowal, trivia, and more! The event will be on March 16th. Tickets on sale today! Don't forget your costumes and other apparel to celebrate your fandoms. 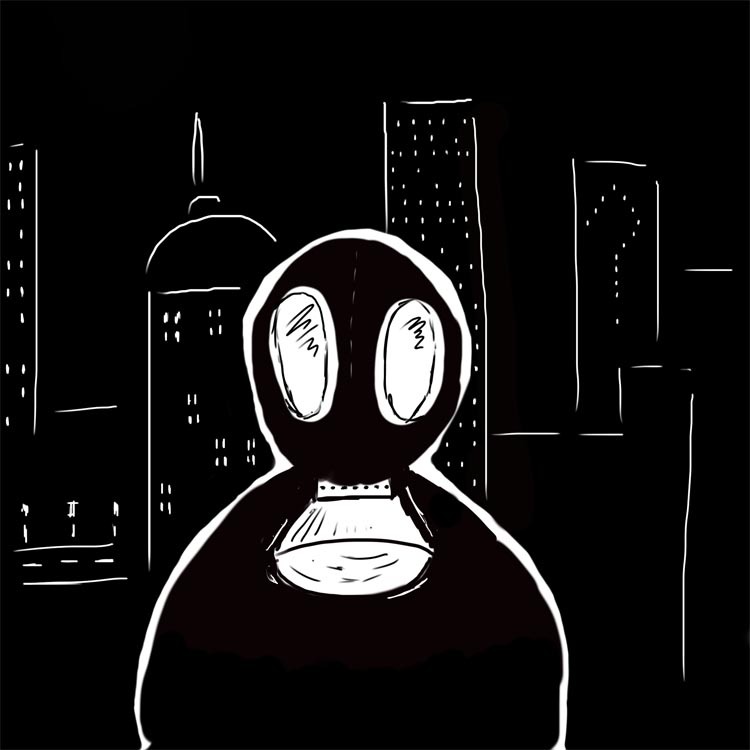 Also, please stay tuned for more information on our upcoming music video, "Jamie," our tune about everyone's favorite gas mask-wearing child. We will be announcing more events and news as time progresses in its non-linear format! New music out now! Today we are pleased to announce the release of our latest EP. "The Empty [EP]" is a collection of new songs suggested by our Kickstarter backers from 2013. Go back in time to when you first were introduced to the show and, like each companion, hopped aboard a blue box with a strange man you hardly knew with the opening track, "At the Door." Feel the sorrow and fear of the children during the London Blitz with "Jamie." Rock out to our cybernetic explosion "Mister Clever." Raise a glass to our fallen companions with the Irish-influenced folk song, "Never Fall in Love Inside a TARDIS." And finally, relax and let us take you for a cosmic exploration of our own with our "Hidden Track," a secret tribute to the Time Lord David Bowie. For only $5, you can download this collection on Bandcamp! Buy The Empty [EP] here! Happy Friday, Crashers! Are you sad we have to wait until 2017 for a new series of Doctor Who? Want an early weekend surprise? Well, how about the release of our first fully operation music video?! That's right. Today we bring you 'Oi Spaceman'. A brand new music video for our pop punk song inspired by the Doctor Donna herself. A fun video with plenty of Dalek humor and shots of the band on a rooftop and playing live at Martys Chicago. Every view helps power the TARDIS, so share with your fellow Whovians to help tide them over until the new series of Doctor Who. Remember sharing is caring. Hey Crashers! We're excited to announce we are playing at C2E2's after party at Reggie's Music Joint on Saturday, March 19th. Not only can you see your favorite Timelord Rock Band, you get to see a fantastic line-up of three other geek-rock bands, participate in a raffle, gain entry into Project Nerd! 's cosplay contest, and drink a free Galaxy Hero IPA created by Revolution Brewery. The best part? This only costs a $20 donation to a great cause ($25 for you procrastinators who purchase tickets at the door). The cause is Reading with Pictures, a brilliant organization that helps bring comic books into the classroom as a means to promote literacy and the visual arts. How cool! We're excited to partner with this phenomenal organization and rock out with you all after C2E2 on Saturday. Oh, one last thing. We have a surprise for you: a special tribute to one of our greatest musical inspirations. We won't tell you what it is, but we will say the stars might look a bit different that night. New music (and perhaps more) in the works! Good day, Crashers. We spent our spring plugging into our own hive mind to come up with new music for you all, and the results have been fantastic! We are making headway in our two remaining Kickstarter song requests. The first will revolve around Mr. Clever, while the second will focus on that time Moffat and RTD walked into a bar and everyone died. But why stop there? We also wrote a new song regarding a certain recurring enemy that loves to hate the Doctor. Aside from music, we are also getting creative in other ways. This summer, we are starting work on our first ever Time Crash music video. It will be filled with fans of both the show and the band, Chicago scenery, and, of course, at least one DW baddie locally grown here in Chicago. We will be releasing more information on this as time progresses (if you believe in a linear movement of time, that is). We have more announcements coming up soon, so keep checking back! "Midwest Media Expo 2015 Recap! We returned to Midwest Media Expo last weekend and treated Crashers to not one, but TWO full shows - with surprise guests! We worked with an exceptionally talented sound and tech crew at M2X, and were honored to share the stage with brilliant musicians Eileen Montgomery, The Harp Twins, and Steam Powered Giraffe. For the very first time, we fulfilled our dream of collaborating with outside musicians when Time Crash and Random Gibberish jumped into each other's time streams. Random Gibberish's Matt Sernaker and Kroze crashed our set, and Chris, Mike Fye, and Ronen randomized Random Gibberish's Secret Show late Saturday night after Jon St. John's roast. Of course, Dave is in both bands so he acted as a fixed guitar in time and space, if you will. But! The cherry on the cake was when we surprised Crashers with a guest performance by Ellen McLain (voice of GLaDOS) and her husband John Patrick Lowrie to your favorite Portal song "Still Alive". And no, that cake is not a lie. The couple said this was the first time they've ever performed the song with a live band. The video from the entire show will be released to YouTube soon, but in the meantime check out a clip of "Still Alive" performed with GLaDOS herself!" HAPPY NEW YEAR, Crashers!! Hope you all had a fantastic Holiday. :) We have a lot of exciting things in the works. Among them are new music, new shows, and new videos. Head over to our "Schedule" page for more info on our upcoming appearances. We have a bunch of all-ages shows planned the first half of this year including live podcasts, M2X, and more! Among our new things, have you heard our latest song, "The Promise of a Soldier?" Share it with your friends! Chicago-based Time Lord Rock band TIME CRASH is proud to announce its debut album, REGENERATION. Inspired by the stories and characters of Doctor Who, TIME CRASH carves a hole in the fabric of space-time with its genre-hopping style. Their sound is big - crunchy guitars, a slick rhythm section, and lyrics that spark with impish wit - and this 11-track release covers a lot of sonic ground. A heavy dose of power pop with the flames of punk licking around the edges, REGENERATION encompasses ballads and bouncy, danceable tracks. From the fired-from-a-cannon bombast of "Who Am I" to the soaring sound of "Heart of the TARDIS," REGENERATION is a big, loud album - with themes of adventure, growth, and heartache - that will appeal even to those who have never seen a single episode of Doctor Who. Hello! Today, as we count down to the released of "REGENERATION," we bring you the album artwork itself! The album is out 9/16, less than one week away! Welcome, Crashers, to our new and improved website! 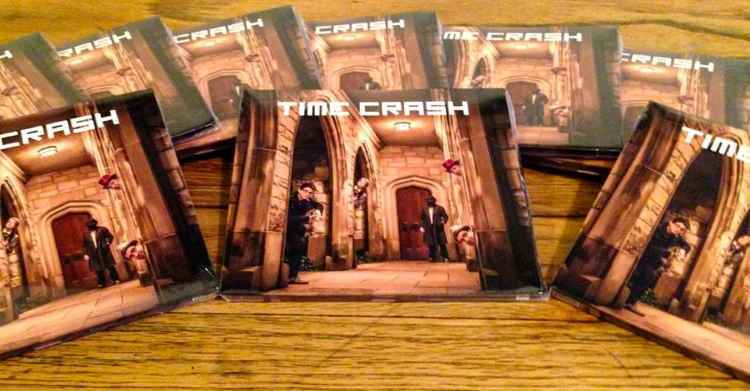 Here you will find all things about or pertaining to Time Crash. We will be keeping you up to date on our upcoming album, "Regeneration," events, and much, much more. Stay tuned! Time Crash is in no way affiliated with or sanctioned by the BBC. Doctor Who and all characters are registered trademarks of the BBC.